These potato pins are nothing short of iconic! They are perfect for trading, adding to gifts or just to show your love for the Idaho® Potato. Each pin is 1 inch wide and has a pinch pin clasp. 50 pins per order. • These are available to Idaho residents only. • Please, only one set of 50 free Idaho Potato Pins per household, per 12 month period. • If you order multiple sets of free pins, no pins at all will be sent. • Need more than the 50 that come in the free pack? Please go here to purchase additional sets. Save the shipping and handling charges by picking the pins up at our office located at 661 South Rivershore Lane, Suite 230, Eagle, ID 83616. Allow 1 – 2 weeks for delivery. These Pins are awesome! Great for pinning them to handout cards. 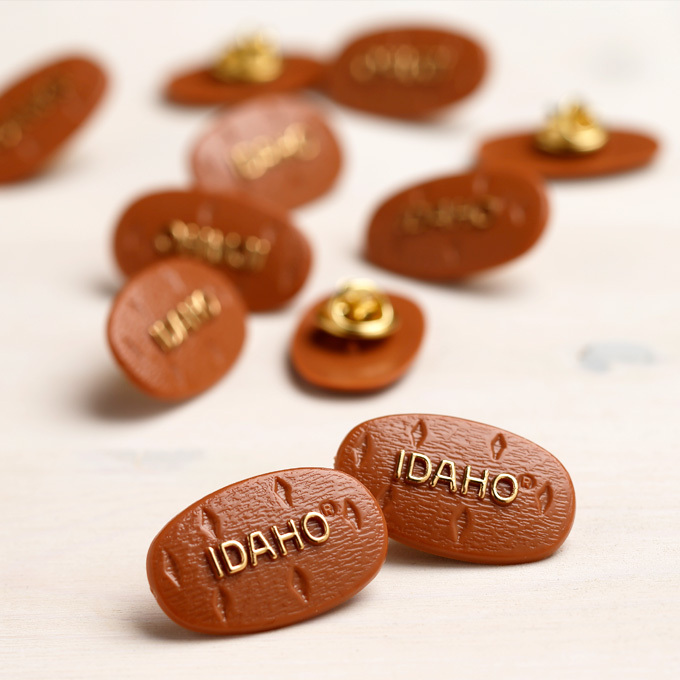 Established in 1937, the Idaho Potato Commission (IPC) is a state agency that is responsible for promoting and protecting the famous “Grown in Idaho®” seal, a federally registered trademark that assures consumers they are purchasing genuine, top-quality Idaho® potatoes. Idaho’s ideal growing conditions, including rich, volcanic soil, climate and irrigation differentiate Idaho® potatoes from potatoes grown in other states.